Our cloud hosts the chemometric models and algorithms that analyze spectra and convert them into useful material data. These are developed by our team of experts according to individual business requirements. We build your spectroscopy solution for you, or we can give you an advanced suite of tools for you to collect your own data and build your own models. 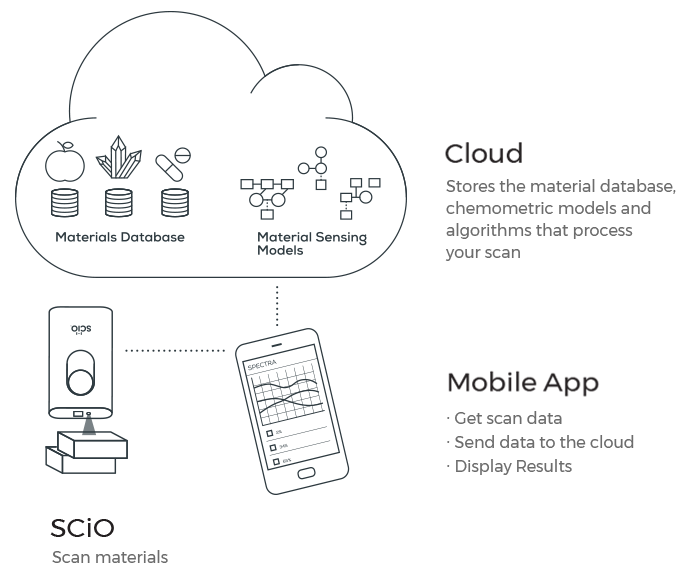 The Lab for SCiO: Developer Toolkit is an easy-to-use tool that enables you to customize SCiO to meet your specific material analysis needs. 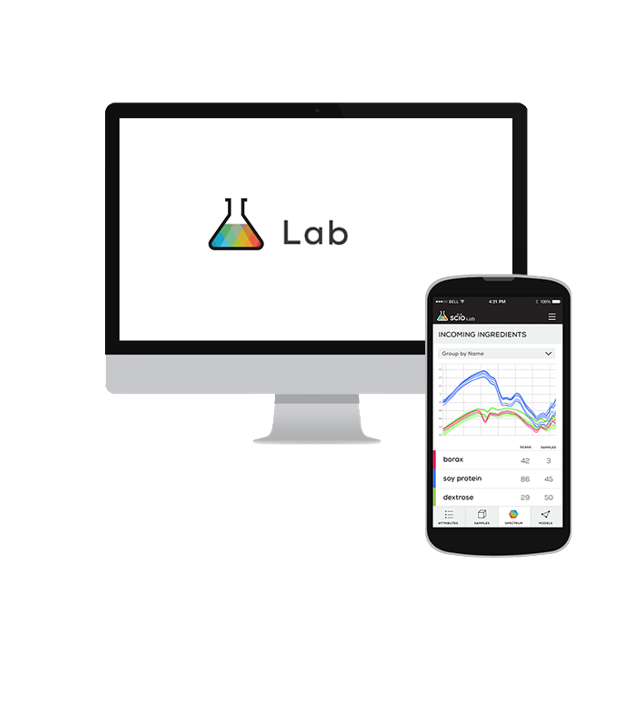 It allows you to create customized molecular sensing models by collecting spectra of the relevant materials with SCiO and The Lab mobile app. 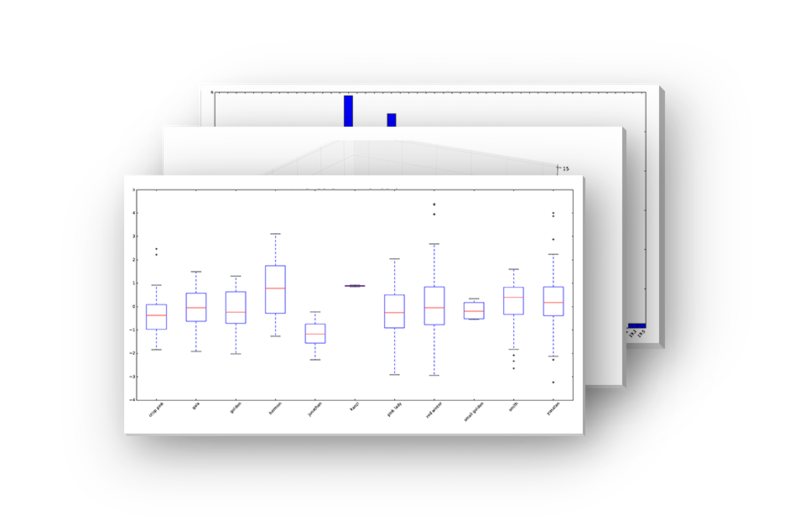 After collecting the required spectra, The Lab web app creates the models, analyzes the spectral data, and generates the algorithm.  Models are then deployed in the cloud and used to analyze materials with SCiO devices.